With April right around the corner, springtime will be in full swing soon. For a lot of people, springtime means doing some gardening and planting something new in their yard! It could also mean you’re doing some spring cleaning and adding some indoor plants to the inside of your home to spruce things up. While many plants are beautiful and look great in or around any home, not all are safe for pets. 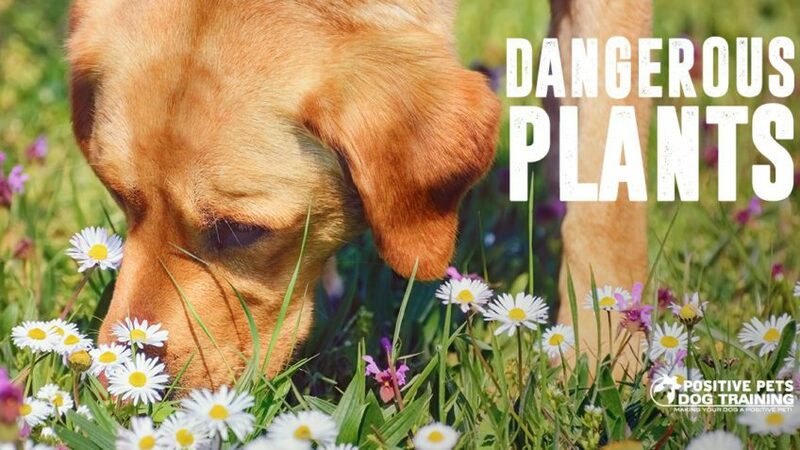 Some plants can be really dangerous for our dogs and we need to be aware of what we’re planting. Here are some plants that are dangerous and you should avoid in your home. Sometimes we let our dogs outside and don’t have the ability to watch them every second. Because of this, sometimes are dogs can get into plants outside and eat them. You can be proactive with what you plant in your own yard, but you should also be aware of what your dog is eating while out of walks or other adventures. Certain trees, such as Yews and Red Maples, have leaves that are toxic as well. Other plants like Ivy and Wisteria should also be avoided. Research and learn what plants are commonly planted or grow in your area. Learn what they look like so you can stop your dog in the instance they may eat something. As for more specific plants, there are some holiday decorations or plants that can make pups sick. American and English Holly are toxic to animals and should be kept far away from your dog. Mistletoe and Poinsettias can also really get your dog sick if ingested, so it best to keep these out of your home. You can obviously still have these items in your home, but keep them away from your pup. A good way to be sure your dog doesn’t get into these plants is to put them in a cabinet or away behind a door when you are out of the home. When you get home, take them out, but still be sure to keep an eye on your dog and check that they’re not getting to close. Have fun and enjoy spring!